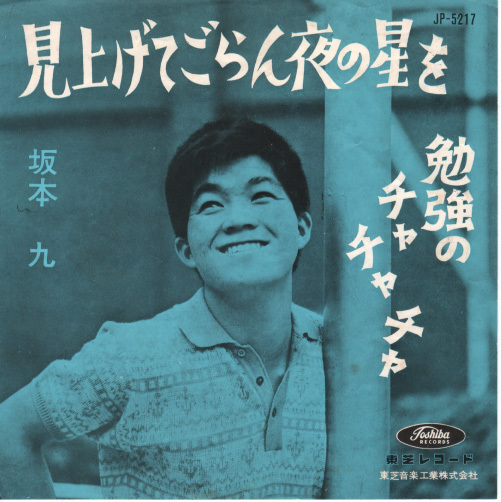 Song of the day: Kyu Sakamoto – "Sukiyaki"
Celeste, the 20-year-old in the household (Hi, Celeste! ), is leaving for Japan today. She’ll be studying there for 10 months. I asked Celeste if there was a song she’d like to request (i.e., “It’s your day, your song”), and the first thing she thought of was Cheap Trick’s “Auf Wiedersehen”. I thought that was great – the phrase being German for “goodbye” and all – until we remembered what the song was about. Celeste then suggested today’s song. You are currently browsing the archives for the Kyu Sakamoto category.